Magpie Baby is a musical story for babies and toddlers, featuring eight short songs accompanied by a brief description of little Anna Dorothy as she grows from a sleepy baby to an active, confident toddler and beyond. The book is accompanied by a CD with a recording of each of the eight songs performed on a combination of harpsichord, recorder and cello, with the text of teach story read as an introduction before each piece. The combination of words, pictures, music and lyrics combines to create a musical story of Anna Dorothy’s development. My children have always had music playing in their rooms at bedtime and I’ve always loved including music actively in different games and activities. Magpie Baby is a wonderful bedtime story experience for babies and toddlers. The music is at once perfect for creating a relaxing atmosphere at bedtime as well as conveying Anna Dorothy’s increasing mobility and confidence as she grows. Magpie Baby is a delightful experience for young children and their parents to share. It is perfect to include with a baby shower or new baby gift and offers a very contemporary and creative introduction to instruments and musical storytelling. A beautiful book and concept that is sure to lead to further musical exploration. 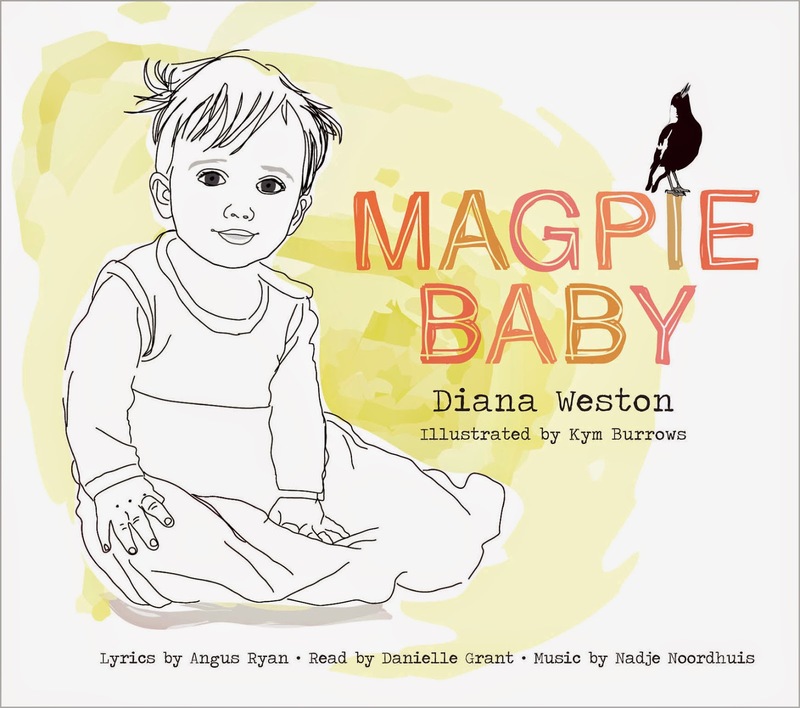 You can read about author Diana Weston’s motivation for writing Magpie Baby here.